The Race to Dubai is on! 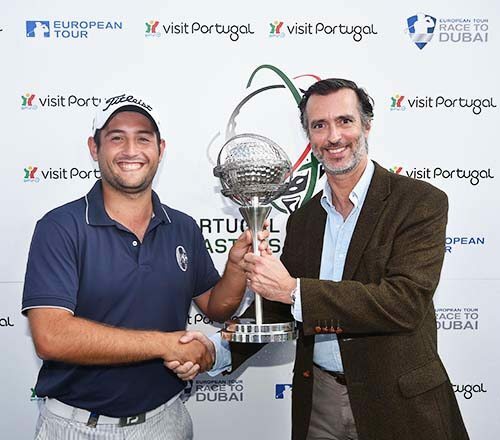 In what was his first appearance at the Portugal Masters, Alexander Levy became the first Frenchman to record multiple European Tour victories in the same season when he won the tournament. Levy was the winner after the third and final round had to be abandoned due to heavy rain in Vilamoura. In a tournament already reduced to 54 holes by lightning and heavy rain earlier in the week at Oceånico Victoria Golf Club, another deluge left parts of the course unplayable shortly after the final group had teed off at 1pm, and the decision was taken a couple of hours later to call the result at 36 holes. Although the weather obviously affected the tournament, the Portugal Masters 2014 certainly lived up to its reputation for drama and excitement. The magic number of ‘59’ was – like last year – almost achieved. This time the runner-up, Belgian Nicolas Colsaerts, putted for the European Tour’s first 59 in his brilliant round of 60 on the opening day’s play. As the Belgian’s putt passed within a whisker of the hole, the elusive 59 remained intact. The final accolade however went to the tournament debutant from France. The 24 year old Levy, whose rounds of 63 and 61 saw him finish with an 18 under par total, took his second European Tour title by three shots from Nicolas Colsaerts as a result – both had parred the opening hole today before play was suspended. This was the Frenchman’s second victory of the season following his maiden triumph at the 2014 Volvo China Open. “It feels very special,” said Levy. “If at the start of the year you had said I would win two tournaments I would say ‘never’ to you. Levy was one of the lucky ones who managed to get his second round completed on Friday meaning he did not play at all on Saturday and he admitted it was a strange feeling to have won after playing only two rounds. “It’s special,” he added. “Because you are only on 36 holes but after Friday night I knew I would only play 54. But it’s a special feeling at this time. Levy will now head to England to play in the Volvo World Match Play Championship before he approaches the Final Series as The Race to Dubai reaches its conclusion and he is hopeful of maintaining his good form. With Nicolas Colsaerts clear runner-up at 15 under par, Chile’s Felipe Aguilar was third on 13 under, with Richard Bland, Morten Ørum Madsen and Romain Wattel tied for fourth. The Portuguese challenge was led by Pedro Figueiredo and Ricardo Gouveia who carded 6 under par and 3 under par respectively. Ricardo Santos was also under par at -2 while Tiago Cruz (+1), Joao Carlota (+2), Tomás Silva (+2) and Hugo Santos (+2) not far behind. While the score of ‘59’ continues to elude the European Tour and may do so until at least the next Portugal Masters, the weather must surely be kinder in 2015. 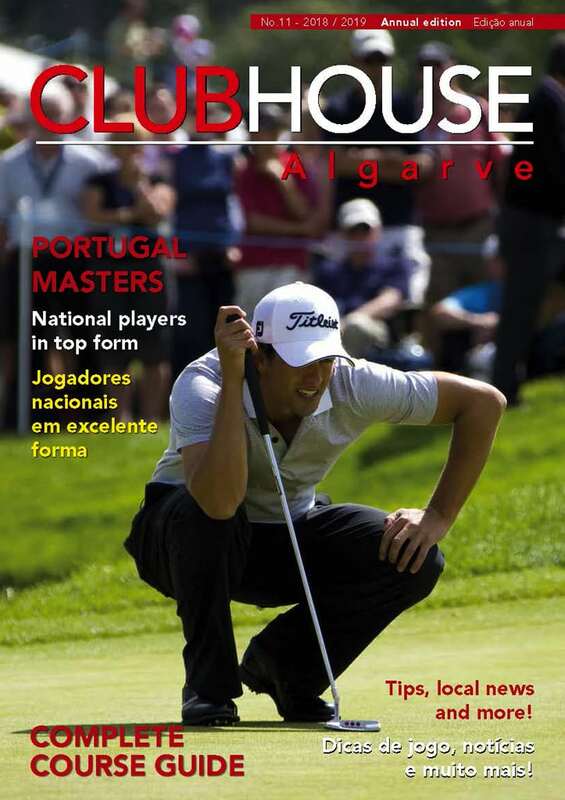 What is guaranteed however is the superb organisation and management which once again characterised the Portugal Masters 2014. In the face of some monumental challenges this year, all involved in this year’s event must be fully congratulated. Everyone including the tournament organisers, officials, the volunteers who braved the elements, all staff at Oceånico Victoria Golf Club, sponsors, the spectators and of course the players who – despite the conditions – combined to ensure that the Portugal Masters 2014 was successful are to be applauded Oceånico Victoria Golf Club. 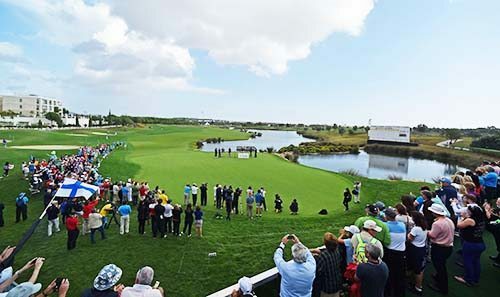 As a result of their efforts, we can already look forward to next year and the Portugal Masters 2015 when it will again be staged at the magnificent Oceånico Victoria Golf Club in Vilamoura.